Beautiful handmade in the USA, 100% USDA Certified Cotton Sateen fabrics and cases, by White Lotus Home! 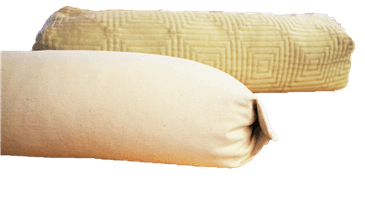 White Lotus Home handmade covers made only from 100% USDA-certified organic cotton yarn are a great addition to your natural and organic bedding. The more you wash our organic covers, the better they feel. The thread count on these organic fabric is 230. Please know that the higher count, DOES NOT mean it is better. After a few washes, the thread count is irrelevant, for most fabrics. Sleeping on organic sheets can help increase your health, by reducing your exposure to chemicals, found in traditional bedding. Nice quality fabric. Perfect fit for the neck roll.